The University of Tennessee purchased a historical warehouse structure to consolidate their Facility Support Services department, that had been spread across various locations on campus. 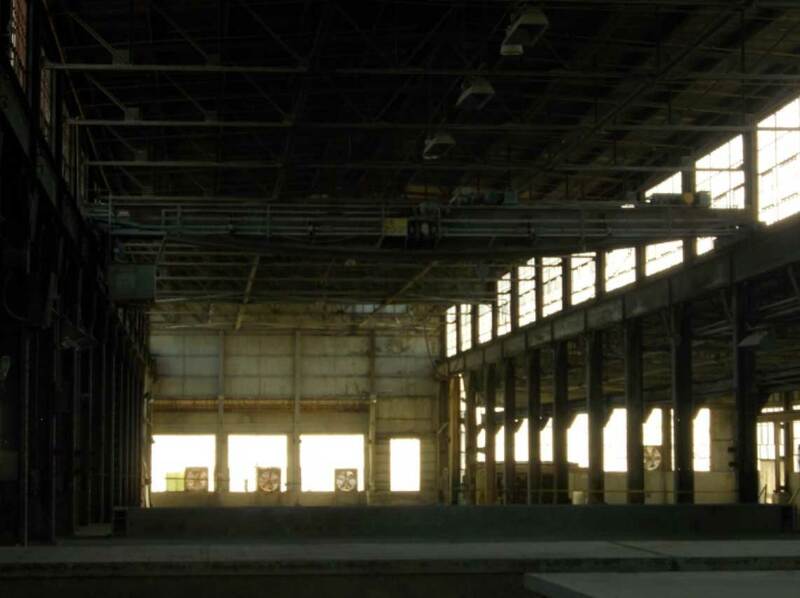 The 100,000 square foot building dates back to the 1930s, and had been used as a marble production plant and a precast concrete plant. The warehouse was undergoing a full scale renovation to transform the building into a state of the art facility with offices, conference rooms, labs, and warehouse space. 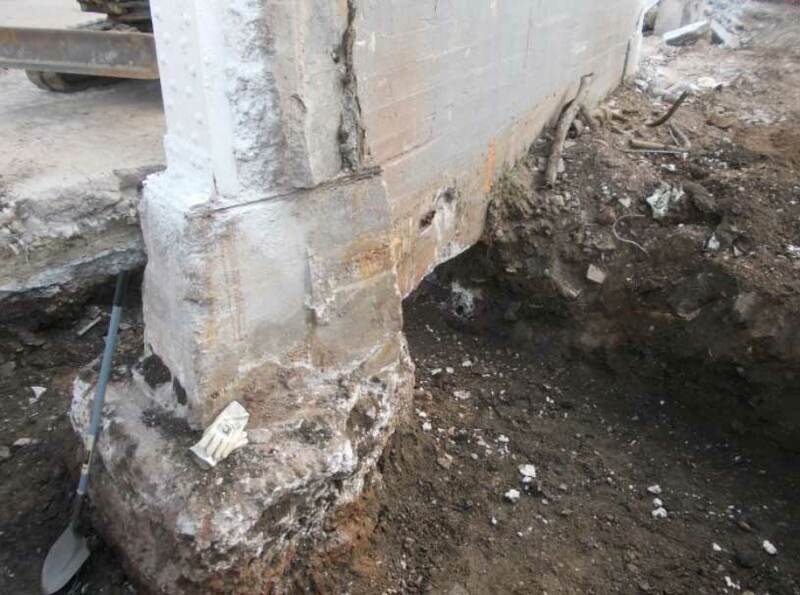 Loose soils under the support columns, combined with poor bearing capacity, and foundation conditions created a challenging situation for the construction firm. No drawings or other information were available about the existing foundation system. Site investigations revealed poor foundation conditions and undersized foundation elements. The subsurface exploration showed extremely variable subsurface conditions, and many areas of poor soils with low bearing capacity. In order to adequately support the code-required building loads, the bearing capacity would need to be increased to approximately 6 kips/ square foot, or a deep foundation system would need to be added to transfer the building loads to refusal. The design team initially conceived that they would support each of the 142 column locations by removing the slab, excavating to expose the foundation, installing helical piers, connect them to the foundation, and then backfill and re-pour the slabs. However, after budgeting and constructability analysis, it was determined that approach would be cost prohibitive and have a major impact on the construction schedule. URETEK was contacted to evaluate the project and determine if URETEK’s zero-excavation solutions could be a good fit. After site visits, conceptual budgeting, and reviewing historical project examples, the contractor’s design team decided that soil stabilization with The URETEK Deep Injection® Process would be the favorable repair method. The URETEK Deep Injection® Process is a non-destructive solution to increase soil load bearing capacity through densification of weak soil strata beneath a structure or surface without major debris or construction equipment involved. The work was performed successfully over 6 weeks. 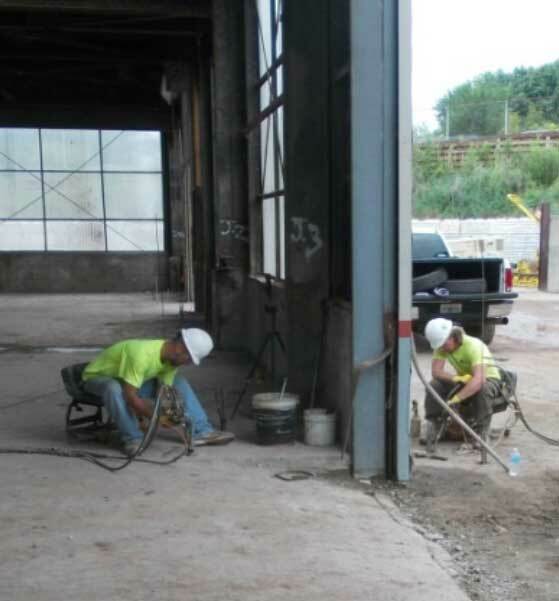 The URETEK Deep Injection Process® was utilized to stabilize the concrete foundation and support columns without excavation or demolition. Four injections per column at multiple depths were injected around and below the 142 column footings. With this technique, URETEK was able to effectively stabilize the warehouse, displace soft soils, increase the bearing capacity to code requirements, and prevent future settlement. The client saved time and an estimated $380,000 in repair costs by utilizing URETEK’s repair methods as opposed to the repair alternatives. URETEK is proud to have been able to help the University of Tennessee and Johnson & Galyon Construction with this impressive project. The entire warehouse remodel was completed in Spring of 2016, and since completion there have been no indications of settlement.